Our marketing automation team delivered a comprehensive strategy and implementation for the world’s second largest manufacturer of enzyme supplements. Amongst other industry benchmark-shattering results was a 58.4% conversion rate from one of our primary nurturing streams. 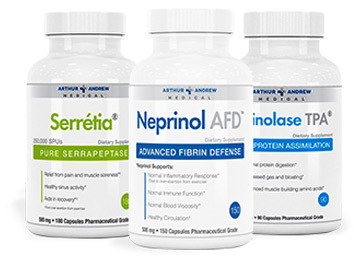 Arthur Andrew Medical is the world’s second largest manufacturer of digestive enzyme supplements with both brick and mortar and online distribution on multiple continents. Arthur Andrew Medical has been a Zion & Zion client for several years, first partnering with us to rebrand and reposition the company and then to implement their industries most advanced CRM and marketing automation program for both B2B and B2C. 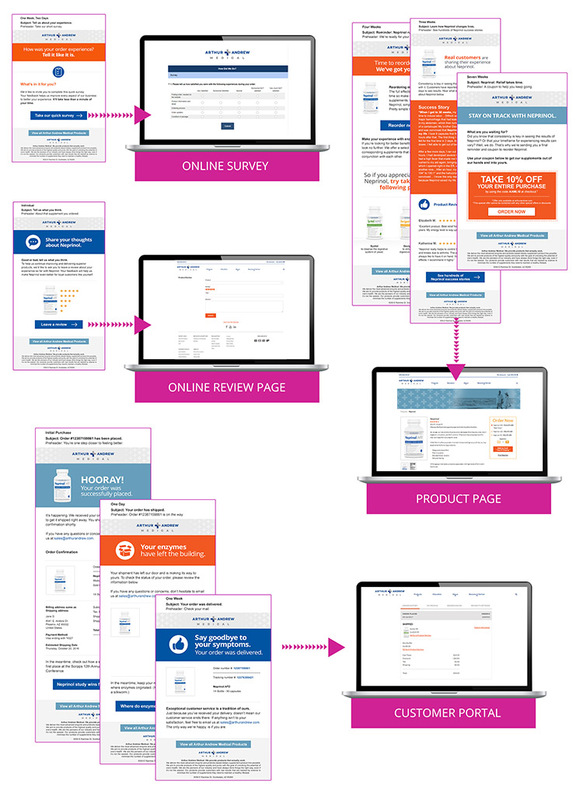 This case study relates the B2C marketing automation strategy and implementation we put in place for the client. To develop a comprehensive strategy for Arthur Andrew Medical, the marketing automation team at Zion & Zion first conducted a content and process an audit and engaged in new/returning customer path mapping. Our goal was to thoroughly understand the various customer segment journeys from pre-sale to post-sale to repeat-sale, and to dramatically increase engagement at all stages. 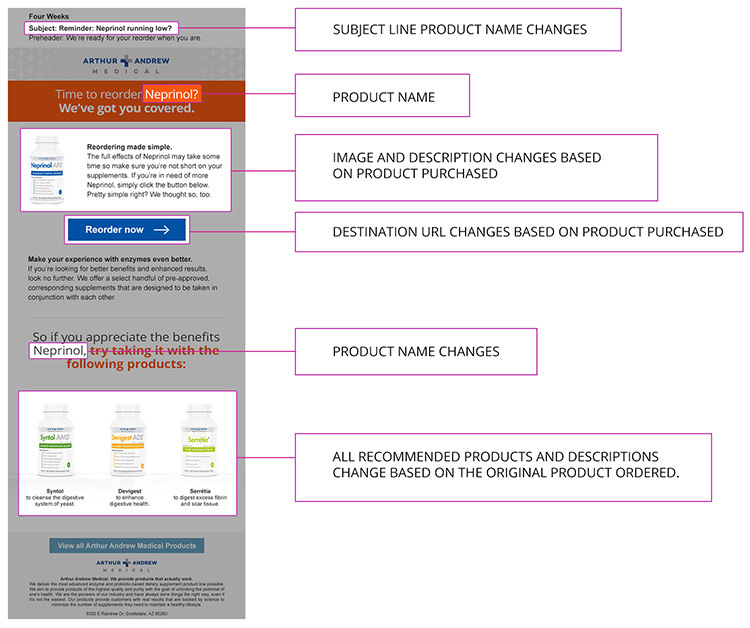 Our marketing automation team also created personalized content based on product of interest or product purchased. Arthur Andrew Medical saw a huge spike in engagement. Our dynamic content emails achieved a 42.7% open rate, a 9.6% CTR, and a 0.051% unsubscribe rate. These engagement rates dramatically exceed supplement industry benchmarks of 17.3% open rate and 1.8% CTR by factors of 2.5 and 5.3 respectively. 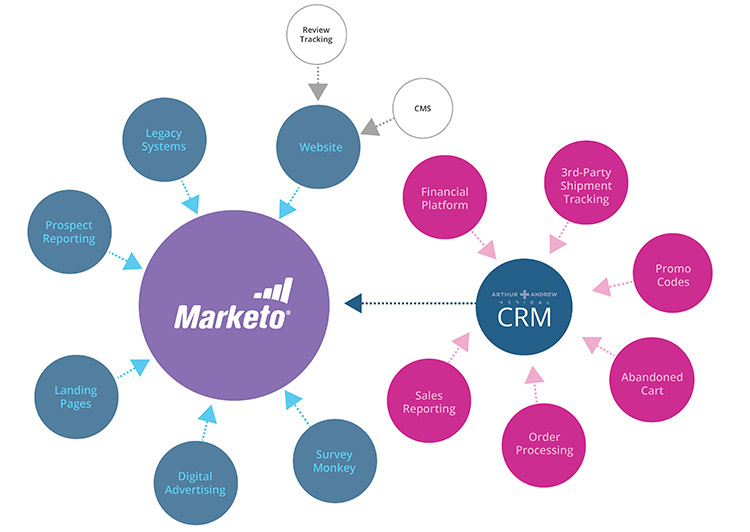 We attribute our stellar results to the integrated approach that our team uses, bringing our marketing automation strategists, our content developers, our designers, and our developers together with our vertical-market-savvy brand strategists.